Hyundai has added a few safety options for 2019 to its Ioniq lineup that includes a battery-electric vehicle, gasoline-electric hybrid, and plug-in hybrid. 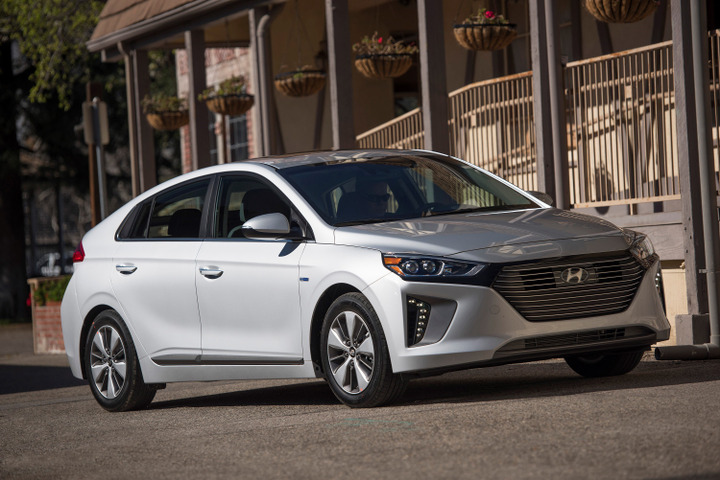 Hyundai's Ioniq trio of electrified compact sedans will add several safety options and improved remote charging management for the 2019 model year, the automaker has announced. The lightly updated vehicles will arrive at dealer lots this summer. The 2019 Ioniq models will now offer available driver attention alert and high beam assist. Automatic emergency braking, lane keep assist, and Smart Cruise Control have been added to the SEL trim. The vehicles will also have an enhanced voice-recognition system powered by HERE that includes a POI-search database. Remote charge management for the Plug-in and Electric models has become standard through Blue Link.